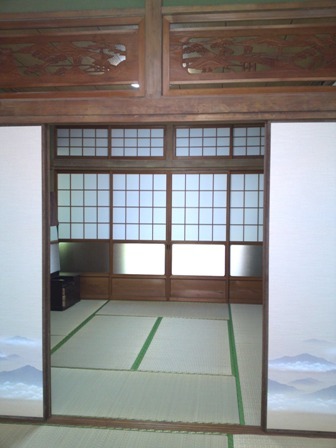 Our 3 guest rooms are in a typical Japanese house build in '70s*. 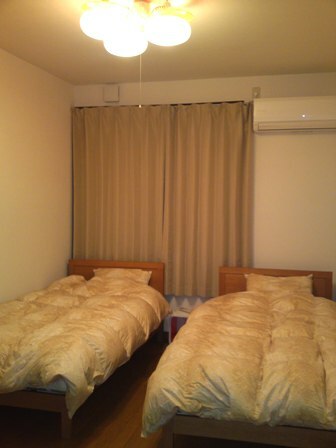 As if you were staying at your friends' or relatives' home, we will ensure that you feel at home giving you the coziness and a sense of living in Miyajima! * The houses were re-modeled in October 2011 for earthquake reinforcement/fire resistance to meet requirements of latest Japanese Building Standards Law, and approved by local government as Minshuku/B&B. View from the room: you can see 5 storied pagoda. 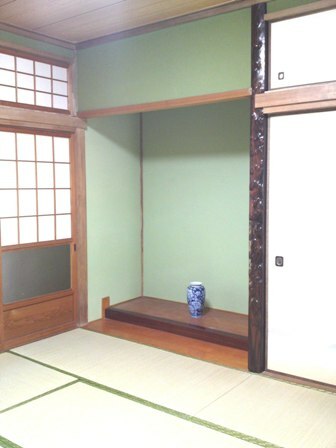 *2 guests can stay this room with 15,000 yen total room charge. 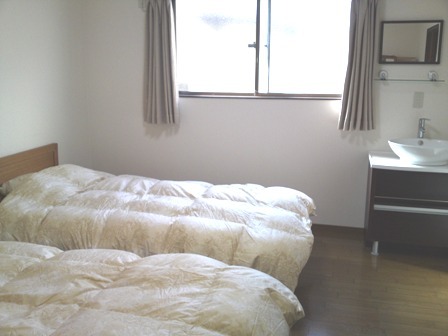 *2 guests can stay this room with 13,000 yen total room charge. *Please note that the owner could be out of the island during 10AM-3PM period for grocery shopping. If you need to check in 10AM - 3PM period, please let us know prior to your arrival. Thank you for keeping quiet after 10PM. This is non-smoking building but there is an area you can smoke outside. We are sorry that because the house was built on slope and narrow land (just like other houses on the island) in the '70, there are differences in levels on ground/floor. Small children need close attention from parents/guardian. There are ATMs and Exchange machine nearby. No parking *Please use the parking at Miyajimaguchi pier. There are not many parking space on the island. - First child under 5 years old is free if he/she sleeps on same bed/futon with a parent. Two children under 5 years old will be charged as one child..
- A child with age 6 - 12 (elementary school student) has discout of 2000 yen from an adult fee. - Children age 13 and older (Junior high school student and older) pay the same price as adult. NOT en-suite and shared with the owner family. (Except Room#1. It has a private toilet.) Bathroom/shower can be used privately with locking the door. 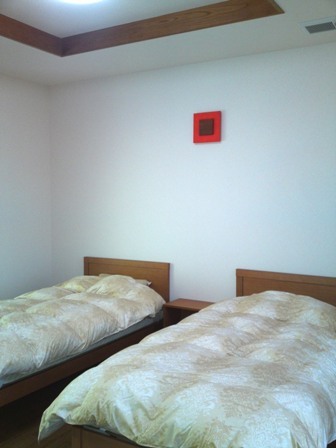 - The bathroom and the toilet are on the 1st floor. - Use of bath towel, face towel, body soap, shampoo, conditioner and hair dryer are included in price. - No TV in each room but 42inch TV in lounge/dining room with bilingual audio. - With prior notice at reservation, breakfast will be served (additional \500 per person). Please notify us one week prior to your arrival date in case of cancelation. Otherwise, we have to charge you cancellation fee below. Impact of cancelation is greater since we are a small B&B with only 3 rooms. Thank for your understanding and accepting the policy.